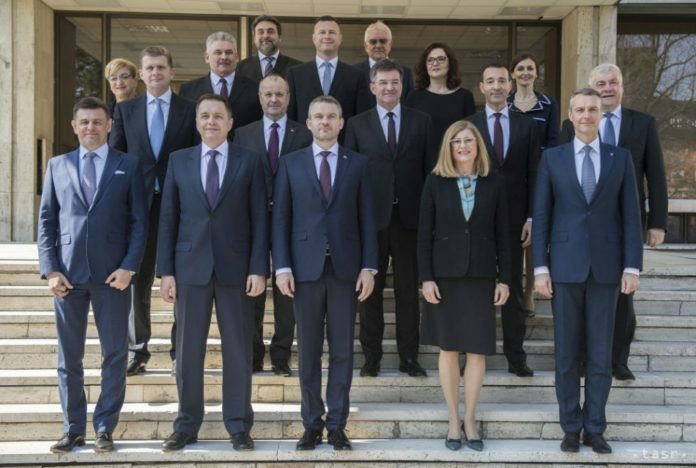 Bratislava, March 26 (TASR) – The new Government of Peter Pellegrini (Smer-SD) has won confidence in Parliament, as 81 out of the 144 MPs present voted in favour of the Government Manifesto, and thus expressed confidence in the new Cabinet on Monday evening. Pellegrini’s Cabinet was backed by all of the present MPs of Smer-SD, Most-Hid and the Slovak National Party (SNS). 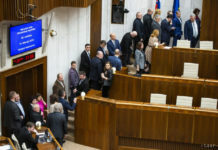 Independent MPs Alena Basistova, Martina Simkovicova and Rastislav Holubek also voted in favour of the new Government, while Independent MPs Igor Janckulik and Peter Marcek refrained from voting. The remaining legislators voted against the motion. The new Cabinet approved its Manifesto on March 22. It is almost identical to the document that was adopted by the former government of Robert Fico (Smer-SD) two years ago. 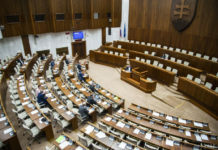 The discourse on the Manifesto in Parliament was mainly marked by the criticism on the part of the Opposition, as no coalition MP has registered for the debate. Most-Hid leader Bela Bugar explained it by saying that representatives of the governing coalition already defended the Government Manifesto two years ago. At the same time, the coalition MPs didn’t want to „escalate tensions by reacting to the Opposition’s invectives“.